While today’s Bossier verdict is still a rumor, chew on this! Unconfirmed, but I’m hearing it was a defense verdict today. No punitives, no extracontractuals. Once again, I ask: Where is the law that prohibits Judge Walker from allowing State Farm to run out the clock and run up the tab on plaintiffs? 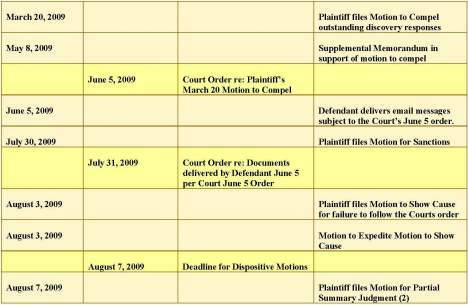 In early August, the 10th in fact, SLABBED posted a timeline of Guice’s five-month effort to compel discovery in Expedite is a plaintiff’s turtle and an insurer’s hare. Slabbed also reported Bossiers’ counsel was still fighting the discovery battle two week’s before trial – Bossier challenges State Farm’s round tuit approach to compliance with Court’s Order – Trial begins in 2 weeks! Out of respect for the chair, or in this case the bench, I held my tongue typing finger over the most telling Order of all SLABBED reported: Judge Walker sorta sanctions St. Farm – issues parking ticket in Bossier v State Farm. I repeat, there was no justice, kindness or humility in Judge Walker’s orders nor any excuse for his conduct of the pre-trial discovery in Bossier…Give juries the evidence needed to make just decisions. Open court so that open court is a reality and not a lofty ideal. Author Posted on November 12, 2009 Categories Bossier v State Farm, Magistrate Judge WalkerTags Magistrate Judge Robert Walker, Timeline of effort to compel Discovery in Bossier v State Farm1 Comment on While today’s Bossier verdict is still a rumor, chew on this! The trial resumes at 9:30 this morning. Judge L.T. Senter Jr. is expected to rule on how extensive testimony will be from two State Farm experts, an oceanographer and Florida university professor with a doctorate in engineering. 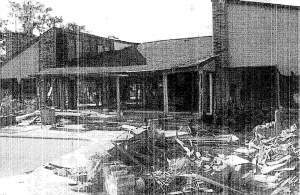 The witnesses are not licensed engineers, so Senter must decide if they can dispute a damage report, ordered by Bossier, in which a licensed engineer concluded that wind effectively destroyed the house.